The wait is finally going to be over for baseball fans starting on Friday, whether your in Florida for Spring Training or sitting at home in and around the Philadelphia area. The Phillies' first televised spring training game on CSN is Saturday at 1:05 p.m., also against the Yankees. 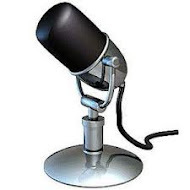 Recently there was a firestorm in the media concerning a popular phrase that was started way back in the 1970s with Tug McGraw. Mets fans seized the moment to belittle the Philadelphia Phillies for using a slogan like 'You gotta believe' that was coined by the late great relief pitcher. Well Mets fans I have to tell you you don't own that slogan. 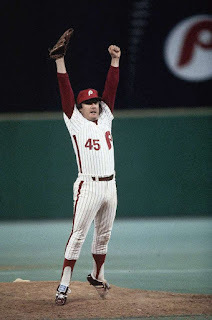 You see the Phillies picked it up way back in 1980 before many of you were born and ran with it as they won the World Series with the Tugger on the mound has the Phillies won the first World Series in franchise history that goes all the way back to 1883. 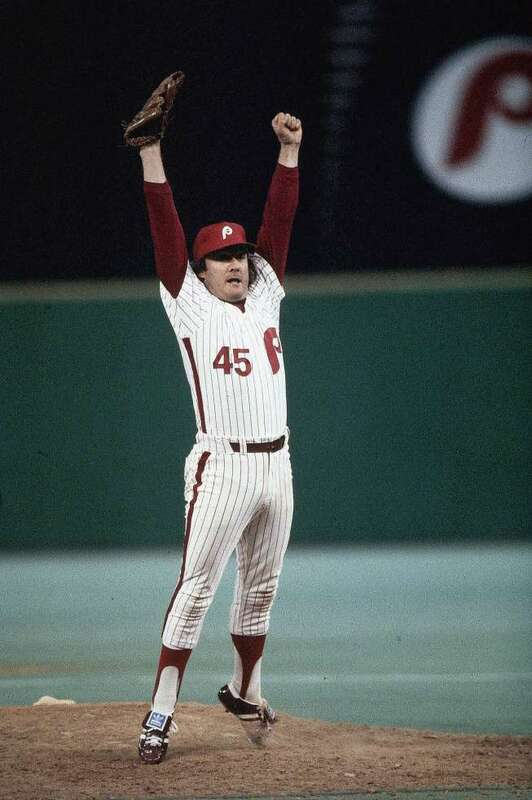 Tug McGraw was a marvelous person who personified winning and really gave people a reason to believe way back then and his spirit still is alive in the Philly area today. When Tug was traded to the Phillies he became part of our family and he will always be part of our family and part of the glory is history and the success of the Phillies. It's not our fault that you traded him to us and he went on to be one of the biggest influences on the Phillies team for years. 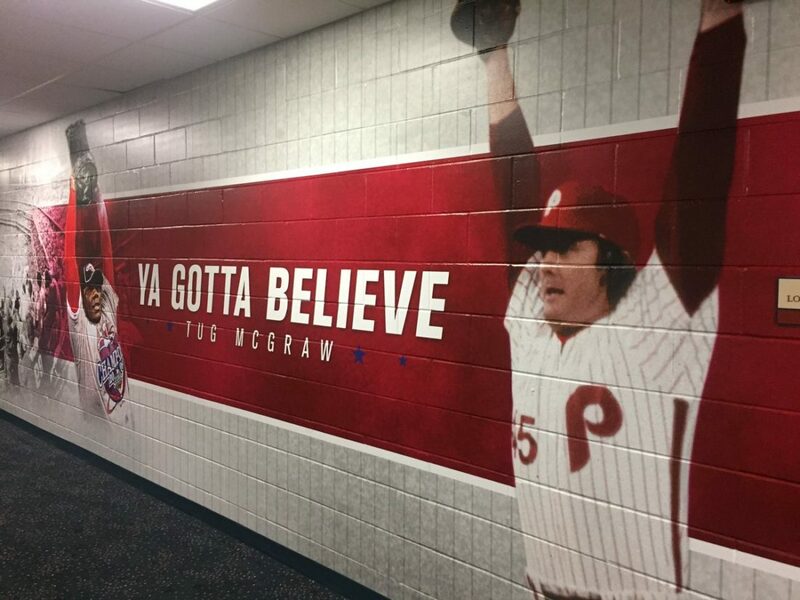 So the next time you see that picture that ignited this firestorm with the saying 'You gotta believe' just know that that slogan is bigger than any baseball team it's attached to a man who was one of the best influences a baseball team could have and a solid teammate and a role model. That was Tug's saying and nobody owns it. Champless: where have all the good times gone? The Phillies were accused of holding onto players who won the 2008 World Series with the team forever in some instances. The thought that the good times would never probably end, were probably in the front of Ruben Amaro's mind as the Phillies pulled a miracle out of their hat in 2007 in clinching the NL East on the last day of the season, and then the very next year, winning it all in the World Series in 2008. The years have slowly been going by for some, and for others, it has been a constant blur of dates and bad finishes by this Phillies team which will be now 9 seasons removed from that World Series win, and yes, the team did repeat and make it back to the WS in 2009 but since then, it's been a steady decline into the abyss. It's almost the start of the 2017 season and for the first time in many years, we don't have a World Series championship player left on the field. We have a lot of players with talent and potential, but that's just it, this season is the one where the Phillies either start to get better or this team could be really bad for a long time to come. No, there's no one left from what could be described as one of the best times ever for a Phillies fan, Chooch and Ryan Howard were the last to go, it's really the end of an era for a base of fans that really supported with team fully over the great years that the team had. Sellouts every night for years, it's been something that hasn't happened in Philly like that before, and we may not ever see it again. The sellouts stopped on August 6th 2012, that's some 5 years ago with this season. The Phillies attendance has dipped to #13 of 15 teams in the NL last year with 1.9M fans through the turnstiles in 81 games. Can this core of younger and newly acquired players pull together and make something happen this year? There has been talk of acquiring a big name free agent in the offseason after this year, but even if that happened would it change anything? Look at the Los Angeles Angels? They have big name talent and go nowhere, that's not what the Phillies want to do. So sobering is that after this season, it's going to be the 10th Anniversary next year of the Phillies win in the World Series, wow, that's amazing that it was that long ago already. The question I was asking myself in the offseason when I heard the Phillies re-signed Jeremy Hellickson to a one-year deal is, how much of an ace is Hellickson? Hellickson earned $7M in 2016, his salary is ballooning up to $17.2M in 2017, thanks to a qualifying offer that the Phillies made to him and the lack of him getting a better deal from any other team led Hellickson to sign the one-year deal. The Phillies inability to move Hellickson last year, in effect left them little option if they wanted to see any return from Jeremy if he did garner a longer term contract from another team, so this year they will be over paying him for a pitcher of his caliber. A lot of the answers in the question of whether or not Hellickson can indeed be the ace of the staff lies in what has happened over the past few years with him. He's a pretty good pitcher who can put in a lot of innings in a season, but he's just not there with convincing winning seasons, in fact, after 7 seasons his record is 61-58. Hellickson looked like he may be the next superstar pitcher after he broke into the MLB landscape and was voted Rookie of the Year in 2011. His pitching company could have helped him a whole lot in Tampa for 2011, Hellickson was teammates with both James Shields and David Price. Hellickson's career with Tampa saw his ERA balloon up to 5.12 in 2013, but he still won 12 games on the year. Then, in 2014, Jeremy suffered an elbow injury that led him to be out needing arthroscopic elbow surgery. In 2014, Hellickson's record dipped to a career low point at 1-6 on the shortened injury year. In November of 2014, the Rays sent Hellickson to the Arizona Diamondbacks for a couple of minor leaguers. His short stay with the Diamondbacks ended after a year that saw his innings pitched back up to 146 and he started 27 games for a Diamondbacks team that was terribly average. The Diamondbacks traded Hellickson to the Phils in November of 2015. If anything else for Hellickson this year, it is yet another chance to prove himself as a pitcher that maybe worthy of a multi-year deal, his agent Scott Boras is sort of a hard line type of agent that doesn't always get what's best for his client, where they may have been able to make a decent deal but not break the bank of a team for a slight above average player such as Hellickson. Last season, Hellickson logged 189 innings and 12 wins on a terrible offensive year for the team. With a better team, could Hellickson have an 18 win season if he stays healthy? There is a sure sign of Spring today in the air maybe not around the Philadelphia (but at least it is nice and sunny out today) area but certainly down in Florida as pitchers and catchers have returned to the baseball diamond in Clearwater. It's been a long winter of no baseball and the season fans are now chomping at the bit to hear a crack of the bat, or the sound of a baseball sailing into a leather baseball glove. The first wave of players, pitchers and catchers finally hit the field and the whole team is expected for tomorrow and Wednesday, though the full squad isn't actually due till Friday. The Phillies starting rotation is one that could end up to be quite good. Jeremy Hellickson, Clay Buckholz, Aaron Nola, and Vincent Velasquez could all vie for ace of the staff. If they all really do well, and the Phillies get some much needed offense on the board, we could see a team that is at least competition, unlike they were last year. This team has to start playing like a team with a goal of making the playoffs, not just content with playing .500 ball as was talked about in the offseason by manager, Pete MacKanin. Set your goals much higher and your accomplishments may exceed what is average. John Kruk reintroduced himself this afternoon at Citizens Bank Park. Kruk started off with Fox Sports in 2001 and then went to Comcast Sportsnet in 2003. In 2004, he landed a job with ESPN and stayed there for 12 years when his contract ran out, it was described as a 'mutually agreed' parting of ways. 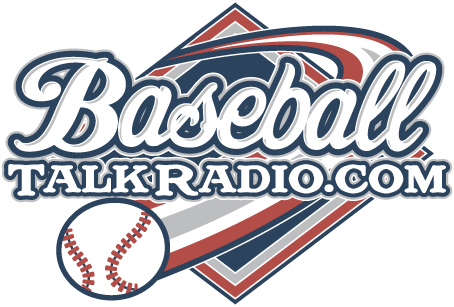 In October and November last year, it was reported that Kruk was in the running for a job in the Phillies broadcast booth, and in December it was announced that he would be in fact coming back to the booth. Matt Stairs left the broadcast booth to be the team hitting coach, and Kruk entered into the negotiation process upon his wanting to pursue TV opportunities, which he tweeted about back in October. Now a seasoned baseball commentator, it will be interesting to see what Kruk has to say about this team in its rebuilding process. What happened to Chris Coghlan? It didn't seem that long ago that Chris Coghlan was named the Rookie of The Year. It was the time that the Phillies were already World Champions and for the season that Coghlan won, 2009, the Phillies were already stocked with a deep lineup that would return to the World Series in that year against the Yankees. Coghlan looked on paper like he was going to be the next big player in baseball. Everytime the Marlins visited Philadelphia, it seemed like Chris Coghlan was really making things happen on the field for a Marlins team that really wasn't a competitive team. (They did finish 2nd in the NL East in '09 though). After the 2009 season, Coghlan leveled off and floated back to earth. His numbers that he produced in the season that he was voted on for being the best, just weren't there. He apparently injured his knee delivering a pie in the face after a Marlins walk off win in 2010 in July. He only played for the Marlins sparingly in the 2011,2012, and 2013 seasons. Chris signed with the Cubs for the 2014 and 2015 season as a Free Agent, for $7.3M, he looked to be part of the Cubs rebuild and it seemed like he was back to great health in the first year of the contract, putting up 9 HR and 41 RBI in 125 games for that season. For the '15 season, he put up 16 HR and 41 RBI in 148 games with the Cubs but by this time, the Cubs had gone out and really picked up some missing pieces to their ballclub, and the Cubs traded him off in February (after awarding him $4.8M in Jan. of '16) before last season started to the Oakland A's. The A's then sent him back to the Cubs in June of last year to finish up the season with the Cubs. He was on the roster in the playoffs and World Series but didn't get much action, he had 19 AB and struck out 7 times and produced an .053 BA, had he done much better in the playoffs, I think his name wouldn't be on a Phillies uniform in 2017, his stock would have risen. The Phillies signed Coghlan to a minor-league deal with a chance at a bench position with the team. Coghlan is still fairly young at 31 years old, and if he impresses coaching in Spring Training, the Phillies may have an issue as they appear over stocked in the outfield department as far as a 25-man roster is concerned. Of the players that the Phillies have picked up this off-season, I think Coghlan has a lot of potential for this team. He's not a franchise player but he's a good spark plug and a positive force.